I used a thrift store skirt which I was not totally in love with, just in case I ruined it. I cut a bat shape out of scrap fabric and ironed it on with fusible web. It worked well, so I started on a couple more projects which I'll show when finished. SQUEE! 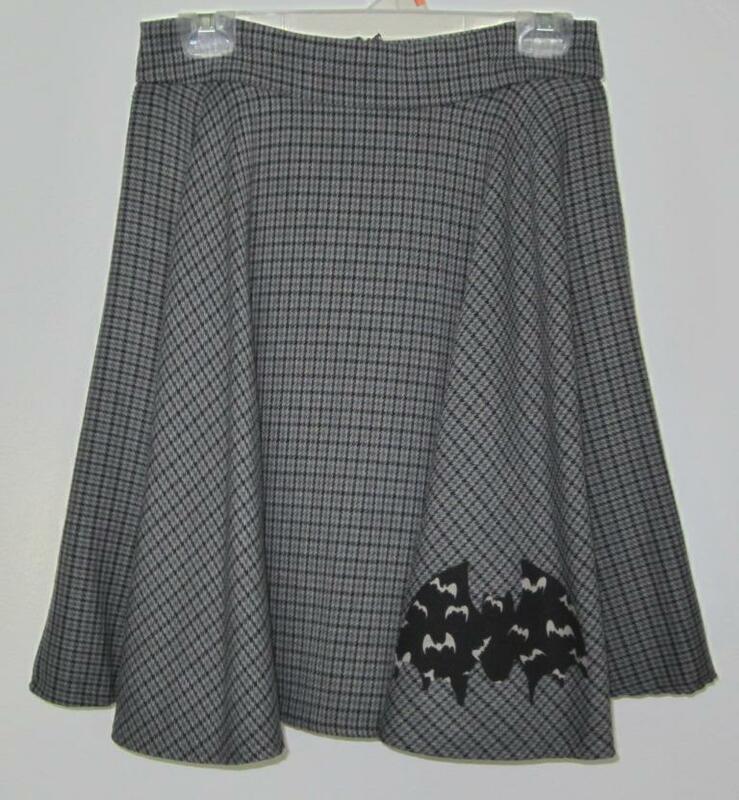 A batty ... er ... poodle ... skirt! And don't forget, Michael's will have Halloween appliques starting at the end of July/beginning of August. I bought a bunch a few years back with the goal of spookifying my blazers, shirts, skirts, etc. I adore 50's style poodle skirts, and I've been wanting to do one with a bat. :) Good point about Michael's! Thanks! I hope to get a couple of them finished and posted this weekend. I love this so much! Can never have too many bats either! Put a bat on it! Spruce it up, make it pretty! I've thought about doing this with pillows at my house - get a basic throw pillow sham and then use appliques to turn it into a bat pillow sham. Do you have to finish the edges with anything like ribbon or some other notion, or are raw edges okay?